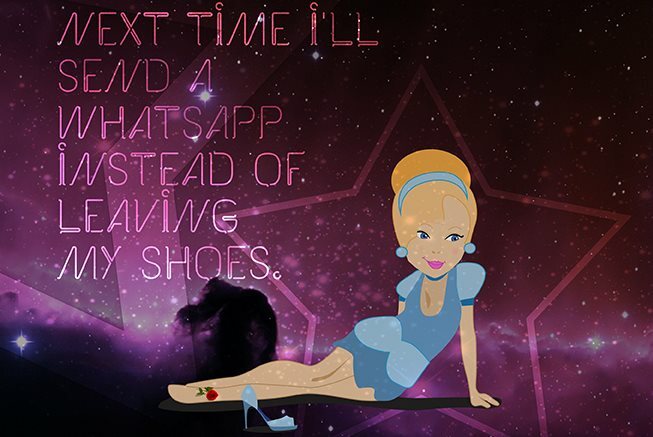 Fairytale characters offer tips to Brazil's SXSW visitors. SAO PAULO, BRAZIL — In a move to bridge Brazil and Texas, Sao Paulo agency Lampada.ag this week rolled out an ad campaign intended to raise awareness of a SXSW showcase for Brazilian companies seeking US investors. The campaign, titled "Talk to Me," is aimed at helping Brazilians at the festival with tips and suggestions for cultural events. "The Brazilian market has invested a lot in the festival," Lampada.ag chief culture officer Tiago Ribeiro told Campaign. "Proof of this are projects such as Casa Brasil, a meeting place that will feature some 50 Brazilian companies specializing in PR, design, fashion, games, IT and audiovisual tech." Much of the activity will be generated by Apex Brasil a company that promotes international export of Brazilian industry. According to its Web site, 57 Brazilian companies will attend in pursuit of at least $25 million in US investment. "Talk to Me" includes three ads that comprise reinterpretations of classic fairy tales: Red Riding Hood, Snow White and Cinderella. According to the agency, these characters’ fates would be different if they’d had a handy guide like the one created by the agency. Via video on Facebook, Brazilian online personality Juliette Vecchi will share insider information about the event schedule, highlighting new technologies and cultural events.